The LightRail? 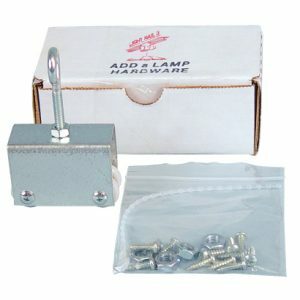 5 Fore & Aft Crossbar Mounting kit allows the user to mount their crossbar and hang their lights in line with the rail. 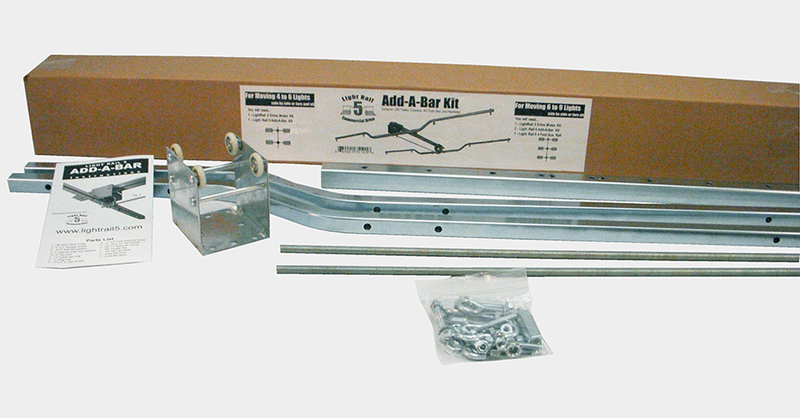 The Add-A-Bar kit includes LightRail? 5 trolley, crossbar, 4 foot push rod and all the hardware needed. 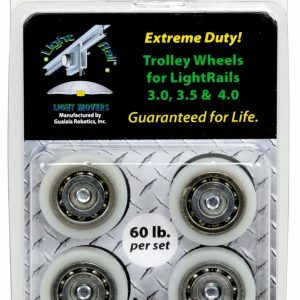 Does not include 4 ft rail. Extend your LightRail? 5 by 4 feet with this auxiliary rail.